In an effort to locate additional victims or anyone who may have information about this case, detectives from West Hollywood Sheriff’s Station have released the suspect’s booking photo. The original press release has been updated to include the booking photo for suspect Daniel Sohn who is described as a male Asian in his 30s. Anyone with information about this incident is encouraged to contact the Los Angeles County Sheriff’s West Hollywood Sheriff’s Station Detectives 310-855-8850. If you prefer to provide information anonymously, you may call "Crime Stoppers" by dialing (800) 222-TIPS (8477), use your smartphone by downloading the “P3 Tips” Mobile APP on Google play or the Apple App Store or by using the website http://lacrimestoppers.org. 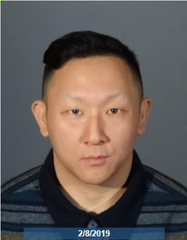 Deputies from the West Hollywood Sheriff’s station arrested a man for impersonating a peace officer (538d PC) on February 8th, 2019. 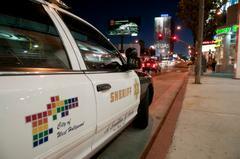 As deputies patrolled local businesses, deputies discovered a male adult sleeping in a vehicle in the area of 1200 N. La Brea Avenue in West Hollywood. Deputies approached the vehicle to investigate due to overnight parking was prohibited on that business property. As they made contact with the man to check his welfare deputies noticed the male was wearing a long sleeve shirt with “LAPD” logo on the front and patches on the sleeves. During the deputy’s investigation, they recognized the person from a recent video posted on social media. In the video it shows the same male they were speaking to claiming to be a police officer to a group of people. The deputies verified that the male was not a police officer of any law enforcement agency. The male adult was arrested for impersonating a police officer based on the video circulating throughout social media and the information the suspect provided to the deputies.